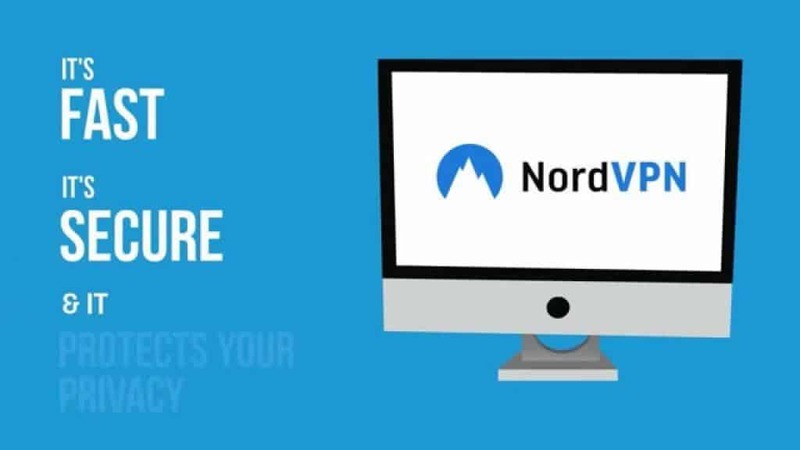 If you’re only interested in the good stuff – we found the best VPN provider for anonymous torrenting and browsing on Macs to be NordVPN. You can click here to visit their website. If you’re interested in learning how VPN services work, why they are important and how we judged the best then continue reading our article below. Enjoy! In this article, we break down the common use cases for a VPN, what a VPN is and what it does for you, and finally our top recommendations for a VPN for people using Mac and Apple products that use torrents, P2P filesharing or just want to be safe online. There are many options out there, but some providers are definitely better than others. There are many options around pricing, features, safety and security that you should be aware of before you sign up for a VPN service. With more and more data theft and anti-privacy laws occurring in 2017 it has become more important than ever to stay safe behind a VPN service. This allows you to “mask” your true connection information such as your IP, country of origin, browser information and more. When you use a VPN, you greatly increase your privacy on the internet and are able to stay secure, anonymous and free. For people that use torrents, this is major factor. Many internet service providers and governments have cracked down with anti-privacy internet laws recently. This has been a huge issue for internet users in the United Kingdom with the recent passing of the Investigatory Powers Act of 2016. This bit of legislature allows UK authorities access to bulk data collection and targeted surveillance of online usage. Australia’s Federal Court has also passed similar laws last year which force internet service providers to block access to popular torrent sites. By using a virtual private network, internet users can circumvent blocked websites, content, and data snooping. In essence, a VPN provider is a must-have in 2017 as we begin to see stricter online surveillance laws being passed around the world. Many providers tout different features and it is hard to understand which features matter and which are just sales fluff. For someone using torrent sites or looking to avoid blocked websites and content, you want to ensure you find a provider that has multiple servers around the globe. This enables you to “spoof” your internet location in multiple countries. For people that are victims of blocked content or geographically gated content (often on YouTube, Netflix and similar sites) this is an important feature. Some VPN providers will retain logs for a certain amount of time (often 30-90 days). This means they can be targeted by federal governments and have their log files subpoenaed in the event of an investigation or legal battle. If you are using a virtual private network for torrent websites, you will want to ensure your provider does not keep any logs. This way you can be sure that they are not turning over information to 3rd parties. Not all VPN servers are equal. Some are very speedy, while others can be overloaded and slow. Many VPN providers offer speed tests of their network on their website. If you are going to be using your VPN to torrent on your Mac, you want to be sure you have a consistently fast connection to your provider and their servers. Of course, it will never be as fast as your regular home internet. This is because the connection must make an extra “hop” to the VPN server before it reaches its final destination. However, you should find a provider with fast and stable speeds. If you’re buying a VPN service for your Mac, chances are you also own another Apple product such as an iPad or iPhone. For this reason, it may be important to you that your service works on those other devices as well. Not all services work on iPads and iPhones, so if this is an important feature, you should be sure your provider has apps for your other devices. In order to stay anonymous when browsing the web or using torrents, you will want to follow a few simple tips. Use a separate browsing session and, if possible, an entirely separate browser. This means opening a new browser profile in Chrome or Firefox, or using a new Incognito/Anonymous Browsing tab. The reason is that websites will store “cookies”, or small bits of data about you and your browser, on your computer. A VPN service may forward these cookies to the websites you browse and therefore reveal your true online identity. Another option is to clear your browsing session data and cookies. Connecting to your VPN client should be the very first thing you do. 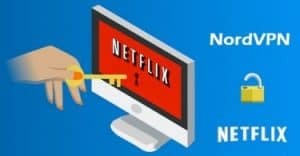 Do not start to download a torrent or browse a website before you connect to your provider! This can circumvent the entire point of having a VPN service. If you are seeding torrents, ensure your VPN is still connected. Any time your torrent client is open, your VPN should be connected. You always want to ensure all your internet traffic goes through your provider. Use common sense! Just because your internet and browser are anonymous doesn’t mean you are anonymous. Do not provide personal or sensitive information to strangers online. Always be wary of where and when you enter your credit card information. 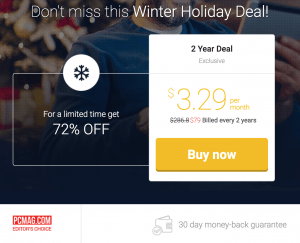 With all of these previous points, features and pricing options in mind, we find that NordVPN offers the absolute best deal the money. If we review the important points listed above, we see that they check all the boxes. Multiple servers across the globe. They operate a world-wide infrastructure of servers you can choose to connect to. This means you can choose exactly which country or location you want your connection to come from. This is a very great option for people trying to get around geographical content blockers such as Netflix or YouTube. Price. Finally, their pricing options are unbeatable. They offer a very affordable service and you can save even more by paying for a year subscription. Their prices are as low as $3.29/month. No log retention policy. NordVPN does not keep any logs of their users or their internet traffic. This gives us peace of mind when browsing the web as we know there is no trace of our internet activity on their servers. Speed. We’ve found their servers to be extremely speedy. Along with the option to choose from any server around the globe, this means you can choose a server very close to you which generally means faster connection and torrenting speeds. Platform options. NordVPN also offers iPad and iPhone apps. This means you can torrent on your other devices and still stay safe and anonymous.